From jet set to hospital, Susan worked to rebuild her shattered life. Love betrayed Susan Merrill, socialite. 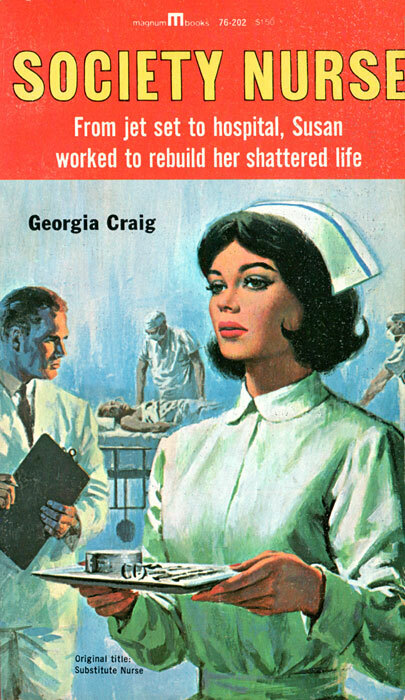 Jilted by a fortune hunter, she turned to nursing in hope that hard work would fill the void in her heart and replace her broken dreams. But love was something she still had a lot to learn about. True love means dedication as well as romance. A new world, new experiences, and a new and deeper kind of love waited for Susan as she crossed the threshold from her luxurious but shallow life to one of noble purpose in serving others.